Clamshell buckets for excavators, often confused with buckets, are equipment designed for handling, by loading and unloading, different materials: wheat, flour, wood chips, branches, soil, waste, sand and debris. 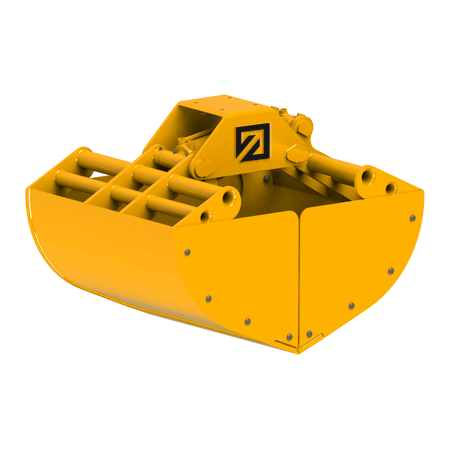 Known as clamshell buckets, or bucket grab, they are mounted on crawler excavators, self-propelled wheeled cranes and trucks equipped with cranes. 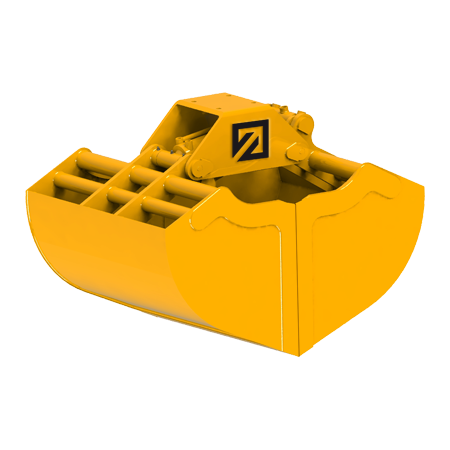 Clamshell buckets for excavaators are equipment capable of covering both the needs of the agricultural and forestry sector and the needs of the construction industry. 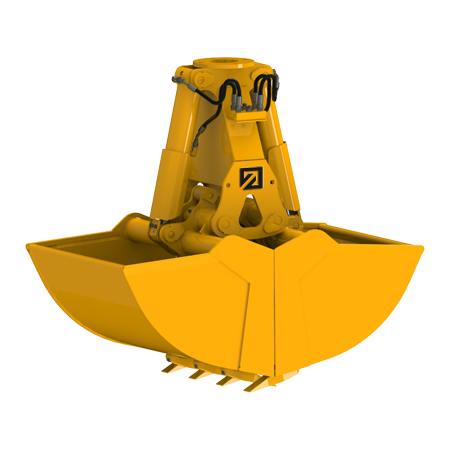 Tecnobenne also sells digging buckets for excavators. 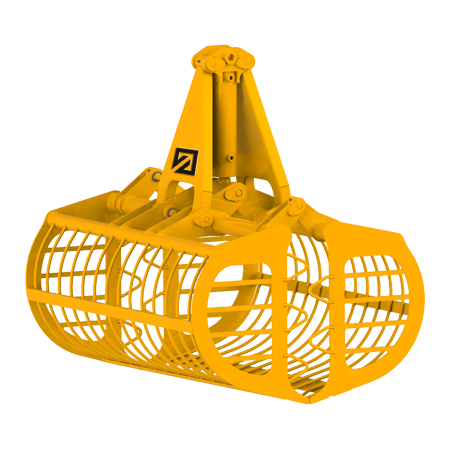 Designed and manufactured specifically for these kind of works, clamshell buckets for digging mount one or two vertical cylinders, in addition to steel teeth useful for break up the soil. 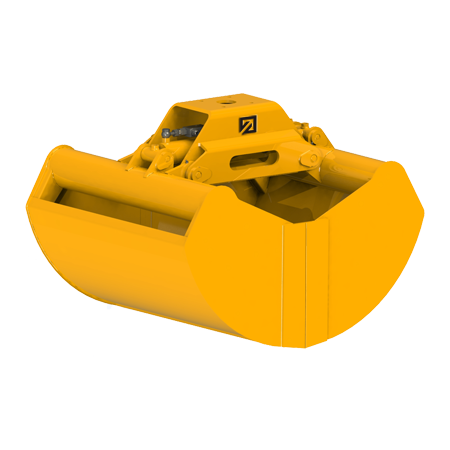 Tecnobenne does not only sell clamshell buckets for agricultural and construction sector. The study of customer needs, the analysis of the loads and the type of work that the equipment will have to perform, are a fundamental part of the construction of a quality bucket, useful and long lasting. Distinguishing mainly the equipment with the codes L and P (light and heavy), the company takes into account the weight that will be handled and the work shifts to which the bucket mounted on the excavator will be subjected to. Lightweight buckets for the occasional handling of branches and agricultural products, heavy buckets for loading and unloading waste or building materials. This particular attention is a benefit of Tecnobenne, a principle that translates into a sales ethic that wants to guarantee the right bucket depending on the needs of each individual customer. Attention to details is not limited only to the type of materials that will be handled, but also to the type of machine on which the clamshell bucket will be mounted on. 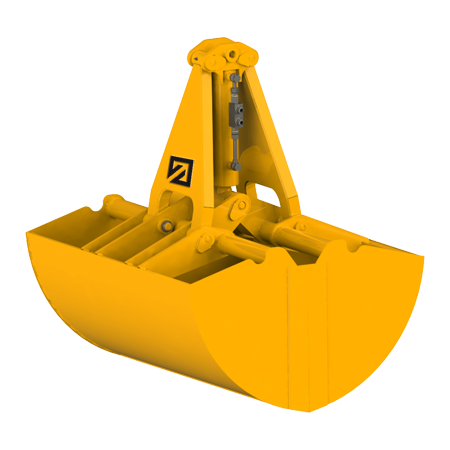 In case of excavators, the bucket will have a steel with greater thickness compared to those mounted on truck cranes, as the presence of the crawlers discharges the whole weight of the load on the bottom of the arm. The study of possible adapters for connecting to the machine is not neglected either. 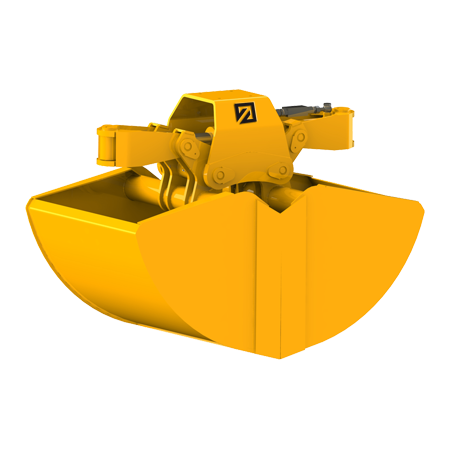 For greater safety, most of our clamshell buckets are fitted with a check control valve as standard. This is very important because the equipment does not lose its load if the hydraulic hoses brake. Thanks to the internal warehouse full of semi-finished products (useful both in the construction phase and for a faster assistance in the after-sales service), once the project for an excavator bucket has been defined, Tecnobenne is able to supply the equipment within a few days. The customization of the project allows to choose colours and accessories. Tecnobenne offers, for each type of bucket, several models with different capacities and dimensions. Starting from mini excavators of 10/15 quintals up to excavators much heavier of 280 quintals. Clamshell bucket for different materials. Clamshell bucket for waste and green areas maintenance. Clamshell bucket with a large opening. Clamshell bucket with removable side-walls standard. 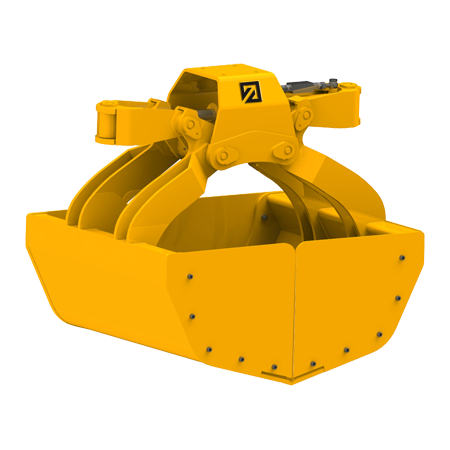 Clamshell bucket for loading and unloading. 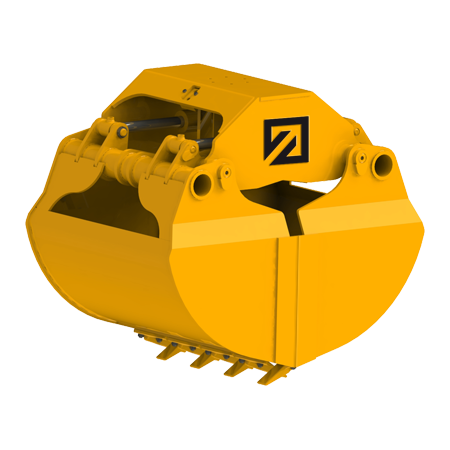 Clamshell bucket with two horizontal cylinders. Clamshell bucket for light digging.